The “Cross Notches” is designed for the player who wants some more control with their movement. 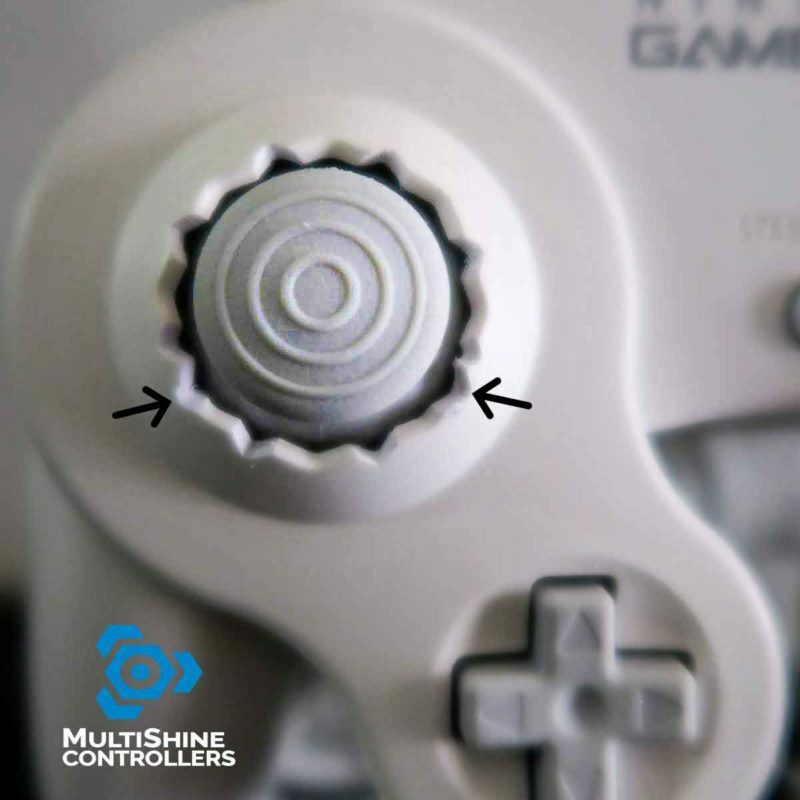 The “GameCube Notches” is designed for players who prefer the Nintendo GameCube Controller. We’ve replicated the notch design from that controller’s analog gate. These notches will grant you more control than the Cross Notches while giving you access to better angles for drifting away from other players, and sweet spotting recovery (Up-B). The “Complete Notches” provide the most amount of movement options available for the Nintendo Switch Pro Controller. 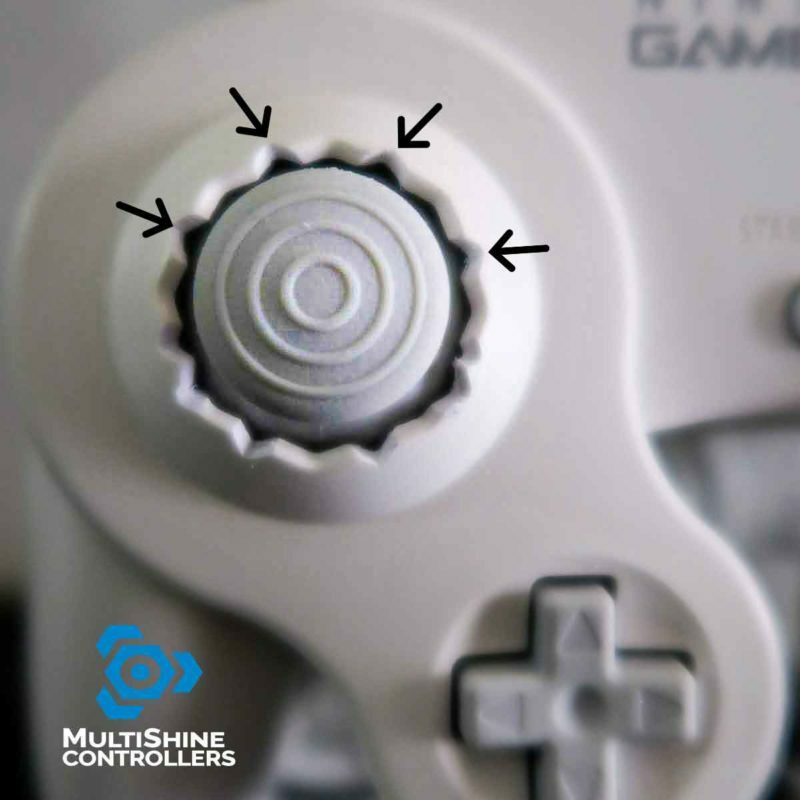 These notches will give you access to all the movement options the Cross and GameCube Notches and more specific angles for better sweetspots, drifts, and baiting options for movement. Adding notches to the Switch Pro’s C-Stick gate improves the angles for Smash Attacks, or if one chooses to use Tilt Stick, angled tilts. The best use case for these notches is to use them at the ledge for edgeguarding or getting a ‘2-frame’ to block enemies from recovering. We’ve put in a lot of time testing what movement notches could work for Smash Ultimate and have come up with the Ultimate Movement Notches. 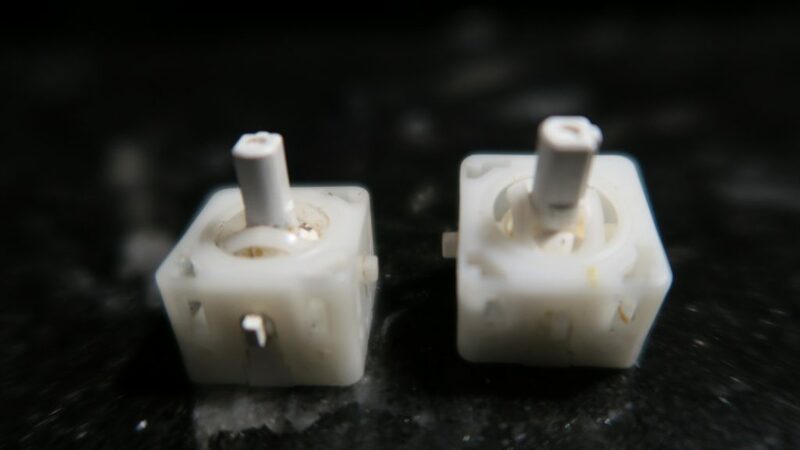 These notches will give you all the movement options for neutral you could ever need. This includes perfect walking without dashing, perfect dashing without walking, drifting towards and away from enemies or ledges, and the option to bait movement from enemies. 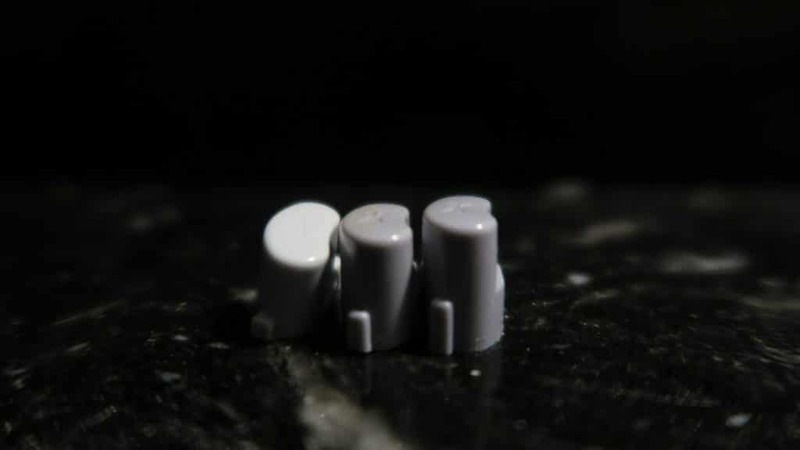 These notches allow you to hit Sweet spots at the ledge and allow you to drift away from enemies. 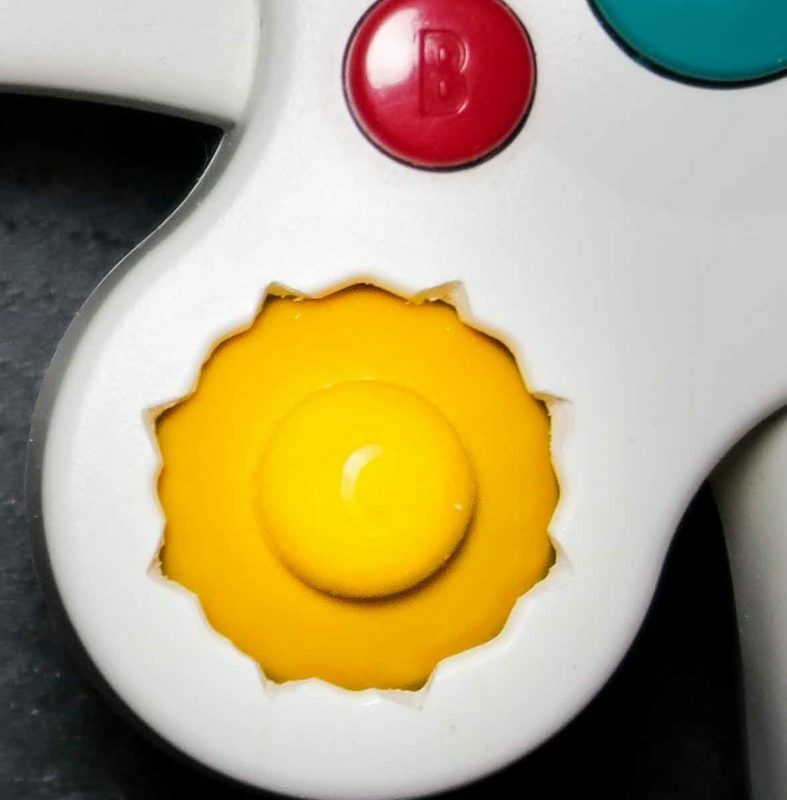 Adding Sweetspot notches and Ultimate Movement notches together will create the perfect Analog gate for the GameCube Controller in Smash Ultimate. 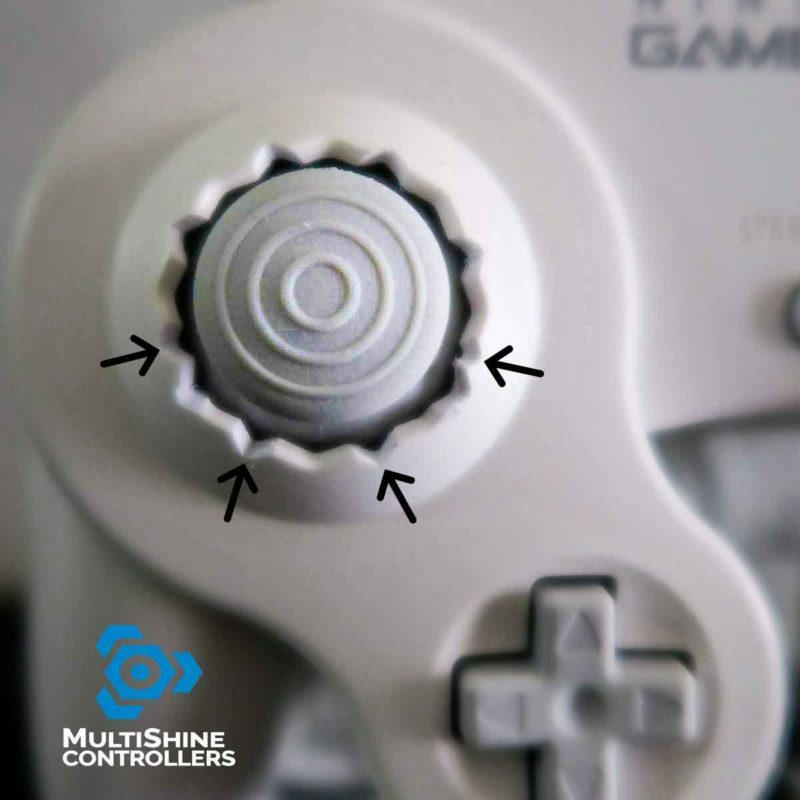 Adding notches to the GameCube’s C-Stick gate improves the angles for Smash Attacks, or if one chooses to use Tilt Stick for Smash Ultimate, angled tilts. The best use case for these notches is to use them at the ledge for edgeguarding or getting a ‘2-frame’ to block enemies from recovering in Smash Ultimate. For Melee, they allow for directional Smash Attacks. 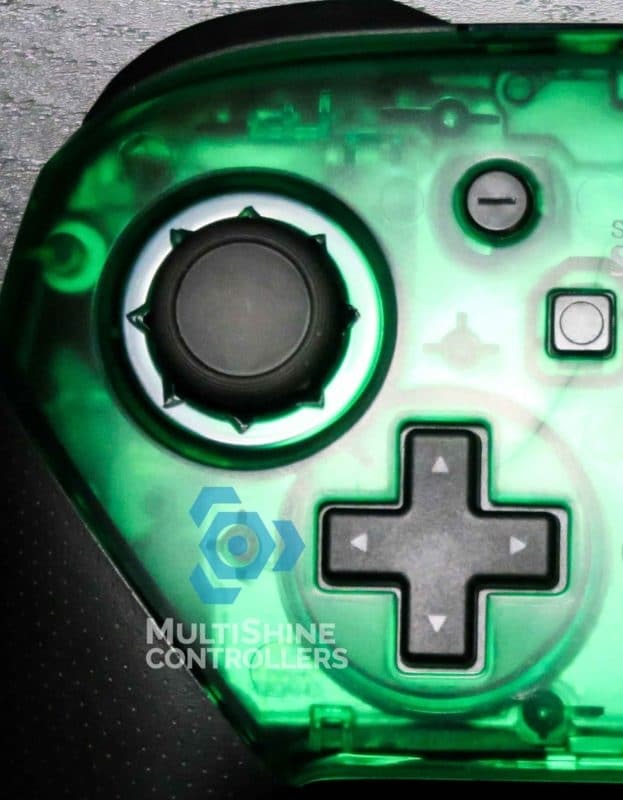 We create notches in the controller’s analog stick opening at the right point to make sure you never again miss that perfect shield drop. Learning how to wavedash is hard enough. 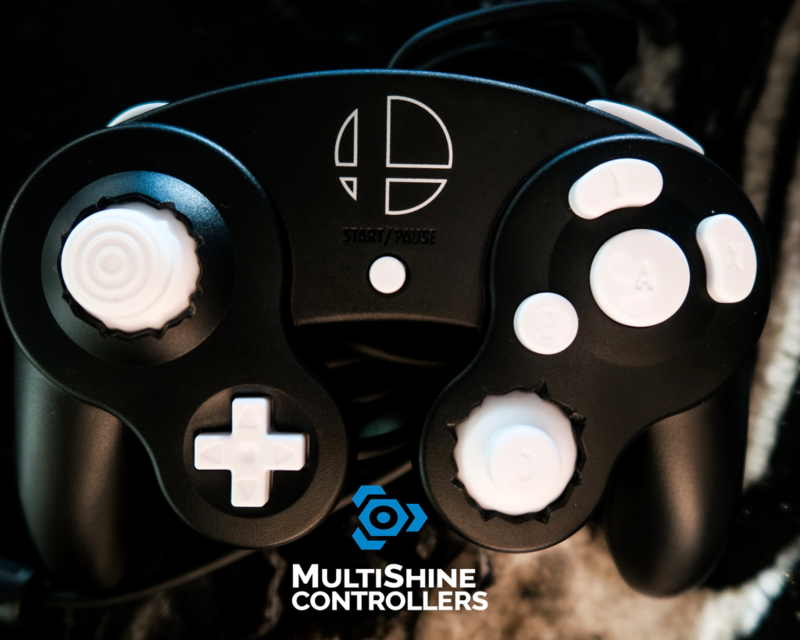 The minimum and maximum wavedash notches give you the best consistent movement options like a pro player. Watch this clip to see the: WaveDash Distances. Ever get stuck under Battlefield as Fox or Falco? Our SweetSpot notches can help you fix that. Watch this video to understand the angles: YouTube Link. 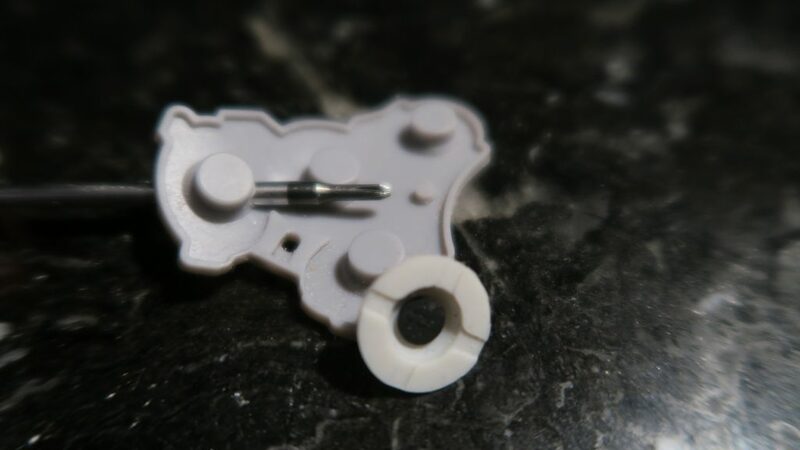 We shave down those buttons by hand to the perfect height for you to make inputs as fast as possible while making the controller feel better when spamming tech skill! We change the C-Stick and the Analog’s Stickboxes to help with dash dancing problems. This also helps with the jumping turn around laser problem spacie mains have. We can also grease the stickbox for similar results. 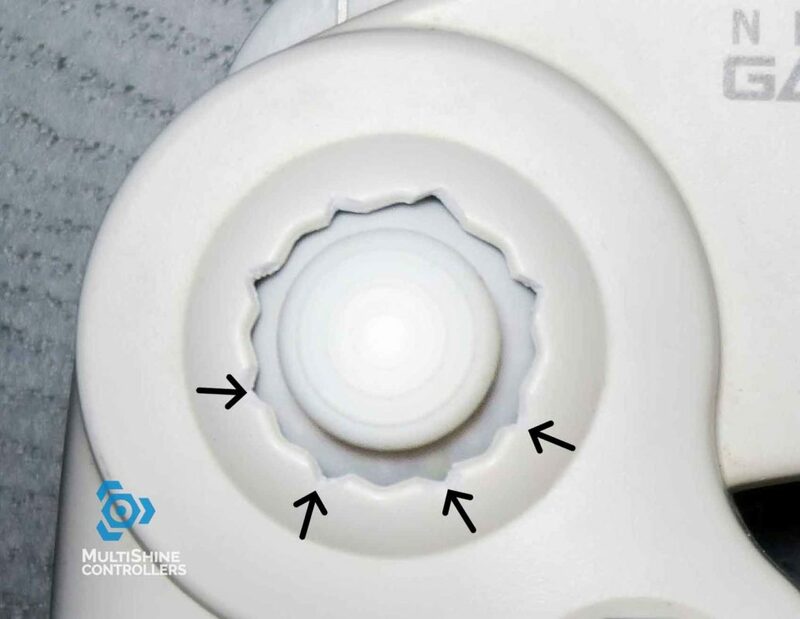 We make perfect small incisions to the pads on the triggers and buttons to make the press smoother and easier which also results in a faster input. We cut the spring and shorten it and to have a faster press and input, you can still light shield with this mod. 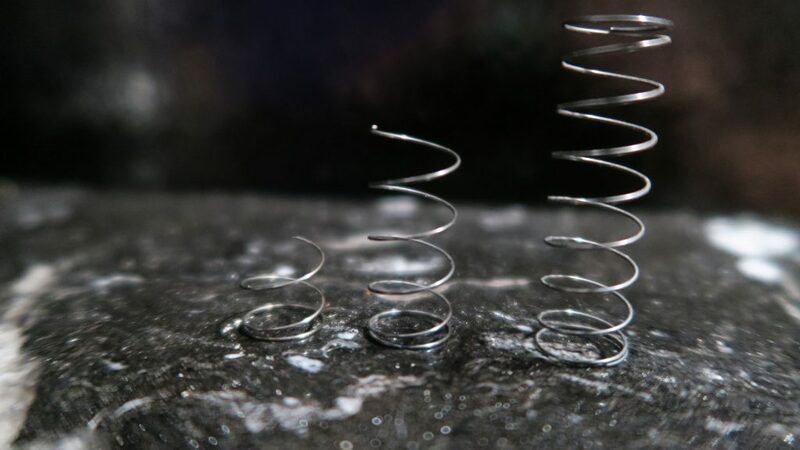 Simply put we remove the spring, making the trigger have the fastest input as it will be fully lowered but you will not be able to light shield anymore. 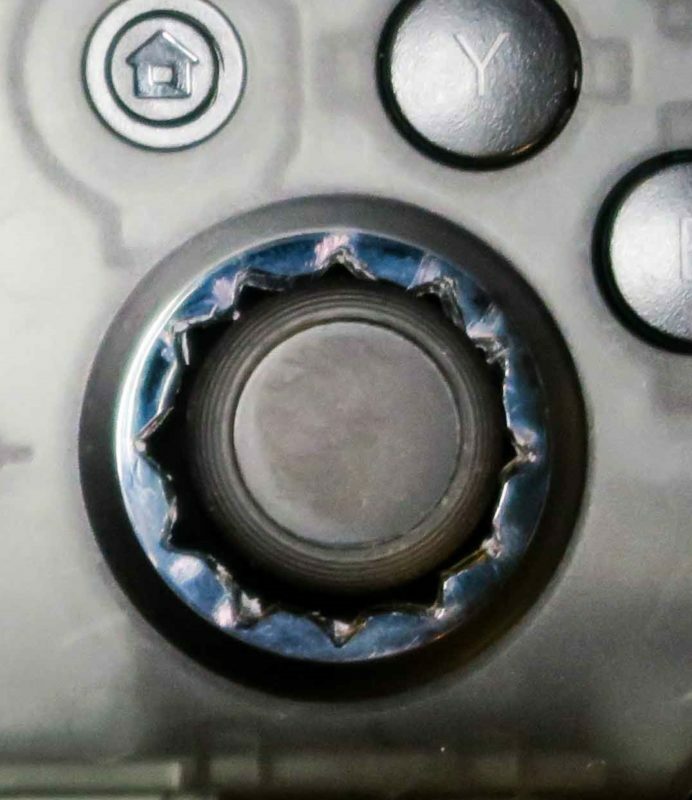 We also suggest if you want a low trigger that doesn’t move around to do a Trigger Mod (Cut 75%) as this will do the same mod but not make your trigger feel mushy and loose. This will be the same input as removal but with a little extra spring to make sure your triggers don’t move around. These are 3rd party button-sets that are ready for tournament use. 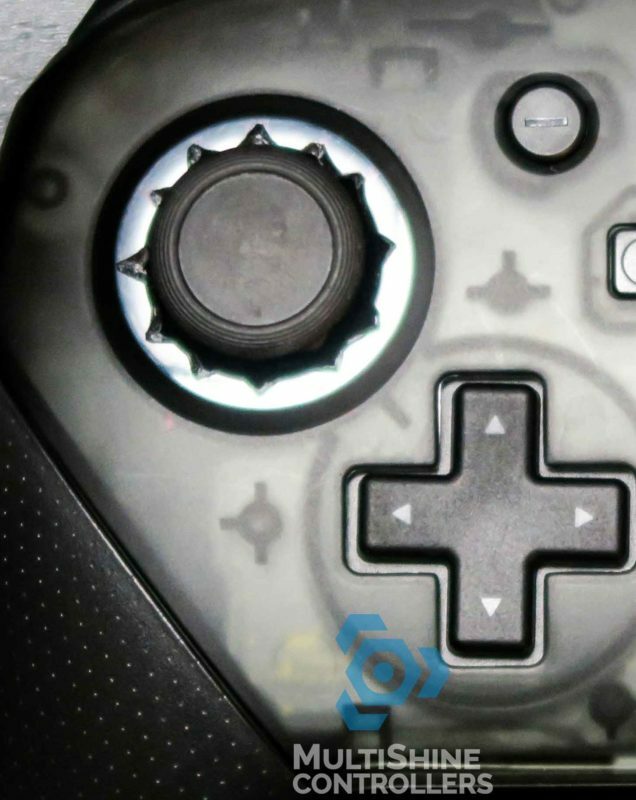 We suggest keeping your stock analog stick and Z button when adding these 3rd party buttons to your controller as fitment isn’t 100% perfect.